Score Basketball is the proud home of Coach Don Calvert, who is the official private basketball lesson coat of choice for Tulsa Shock member Glory Johnson. Score Basketball is 100% focused on helping players get better and achieve both physical and mental strength. We have over 20 years professional coaching experience here in Oklahoma and we have trained players from all over the country including Shea Seals of the LA Lakers. 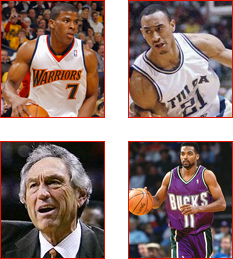 Our method and our teaching systems have been endorsed by NBA scouts, athletes from all across the country and Hall Of Fame Basketball Coach, Coach Eddie Sutton. Call today to get better now at 918 – 955 – 7160. Here at Score we believe in not only building strong players but strong people. We believe that how you conduct yourself outside the court and how you live your life has everything to do with how you play on the court. Maintaining a good attitude, a positive perspective of not only others but yourself is very important. When you are a light outside of the court than you can truly shine when you make that winning shot. That is why Coach Calvert places in lifelong lessons within his basketball coaching system. This has served him well over the past 15 years because he has taken home basketball championship trophies for teams that he has coached. Our goal is to maximize your potential by teaching the mental and physical aspects of the game. Being strong physically is important but so is being strong mentally. Being able to handle the stress on your mind while playing a game is very important. It keeps your senses alert, your mind straight and gives you the ability to think outside the box when the game has an unexpected situation occur. We teach you to be aware of your surroundings and come up with a strategy steps ahead in the game. Coach Calvert is not only the official private basketball coach of choice for Tulsa Shock member Glory Johnson but he has also officially trained and taught Shea Seals of the LA Lakers. Shea Seals goes on to endorse the coaching system and claims that he has never gotten better than when he trained with Coach Calvert. The coach has the ability to sharpen your skills and prepare you for even the most ridiculous scenario that could happen while playing a game. We encourage you when you succeed and talk to you about your weaknesses. We improve you from start to finish. So if your looking to be trained by the official private basketball lesson coach of choice for Tulsa Shock member Glory Johnson than visit us online or simply give us a call to find out all the information you need to start getting better now. We have a coaching system that has been proven and that has helped players from all across the country achieve University scholarships to schools including Oklahoma State University, Missouri State, Indiana State just to name a few. Give us a call today to get better now. Score Basketball is the official home of Coach Calvert who is the official private basketball lesson coach of choice for Tulsa Shock member Glory Johnson. Coach Calvert has over 15 years professional coaching experience and has coached players from all across the country including Shea Seals of the LA Lakers. His teaching method and coaching system has been endorsed by NBA scouts, athletes from all across the nation and Oklahoma State Hall Of Fame Basketball Coach, Coach Eddie Sutton. We have a system that is designed to maximize your potential and improve both your mental and physical basketball ability. Call today to start your private basketball lesson at 918 – 955 – 7160. Score Basketball has over 20 years of training, coaching and mentoring players who have gone on to receive university scholarships and even play in the NBA. Our goal is to polish your strengths and improve your weaknesses. We give you the ability to maximize your potential and become a better player than when you walked in. Our training facility is top the line and our coaches are among the best in Oklahoma. We teach you the drills, the skills and the lessons that you need to take your game to the next level and the next level after that. Coach Calvert was taught and coached by Coach Bliss, who was coached by Hall Of Fame Basketball Coach Bob Knight. His methods and his system was inspired by his other mentor Coach IBA. The systems have proven over the years to be effective and to truly increase the athletic ability of every player who is willing to work hard and listen to the coach. These methods and the systems has won Coach Calvert the title of being the official private basketball lesson coach of choice for Tulsa Shock member Glory Johnson. If you’re willing to work hard, to listen and to truly better yourself as a player we guarantee results. Not only do we train you physically but we train you mentally. We give you the ability to broaden your mind and to handle the stress of being right in the middle of the game. We understand that it’s important for a player to know had a dribble, to run and to shoot the ball. But if they cannot handle the stress during a game it will not make a difference. We teach you to be a strong player and a strong person. By taking lifelong lessons and putting them together with basketball lessons. Coach Calvert strongly believes that the game of basketball is so much like the game of life, the successes, the failures and the way you carry yourself 100% of the time. 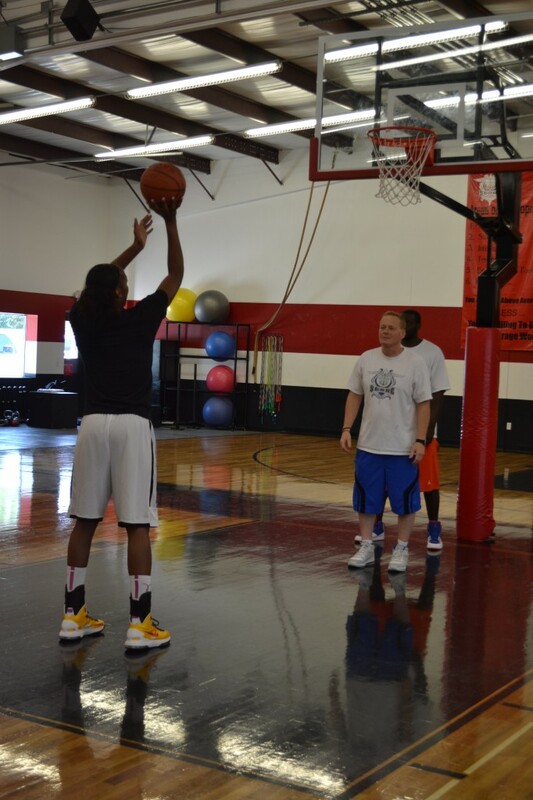 If you’re ready to get better and learn from the official private basketball lesson coach of choice for Tulsa Shock member Glory Johnson than give us a call today or visit us online. We have developed Tulsa players throughout the country who have gone to play in the NBA and achieve University scholarships to hundreds a school across the nation. Improve your skill as a player, as a person and as an individual by learning from the best of the best in Oklahoma at Score Basketball. Take your game to the next level and give us a call today at 918 – 955 – 7160.